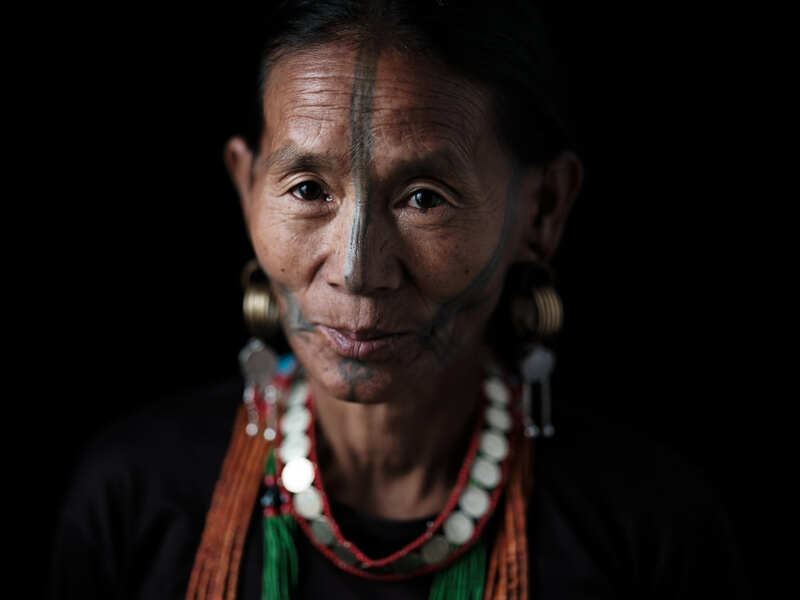 The Ollo are a Naga people living in both Arunachal Pradesh in India and the Naga Self Administered Zone of Myanmar. 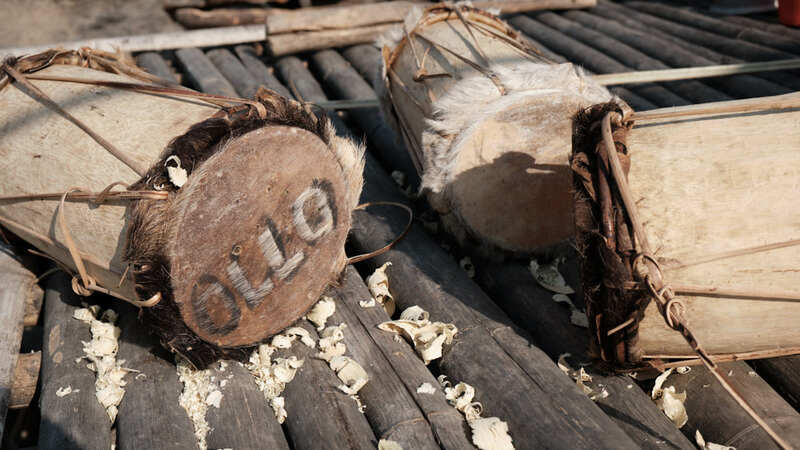 They are also known as Lazu Naga or Oloh, but the current official spelling of the tribal name is Ollo. In Arunachal Pradesh, they live in the restricted area of Lazu District. Although currently considered to be a sub-group of the Nocte people, they are petitioning to be recognised as an independent group based on their unique culture, language, and traditions. 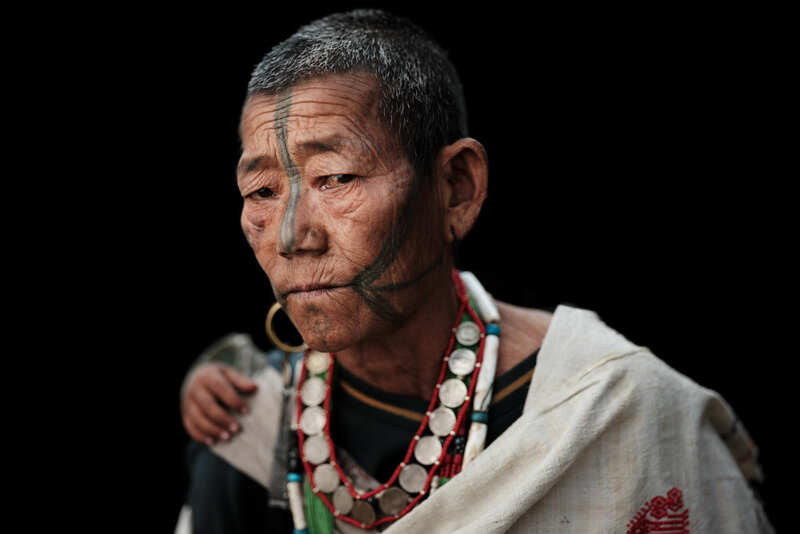 Like many of the Naga peoples, the Ollo have tattooed their faces in the past, with men being tattooed for their exploits in battle. 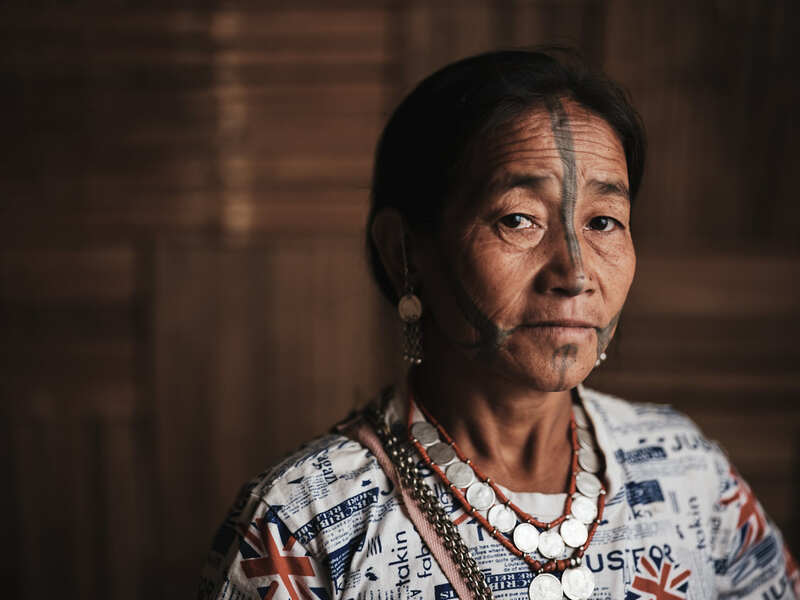 Unlike many of the other Naga groups, their female facial tattoos have outlasted the men’s significantly. As the warrior culture died out, so did the practice of tattooing the men. However, until some 20-30 years ago, women were still tattooed in their name of their culture. Nowadays, we can see the last of these women in the villages surrounding Lazu Town. While none live who recall the reason for the tattoo’s beginning or the meaning of its pattern, many agree that in their time, it was a coming-of-age and a requirement for marriage. Many also state that it is essential for their ancestors to be able to recognise them in the afterlife. Although the tattoo is no longer practised, it was done recently enough that the younger generation are still curious about it and frequently ask questions of their elders. The Ollo mostly live as subsistence farmers, but some have taken it upon themselves to leave their tribal homeland and find other opportunities. Education is available until Secondary College in Lazu, but only in Hindi. Their own language is not taught or recognised by the school system, neither is their culture.